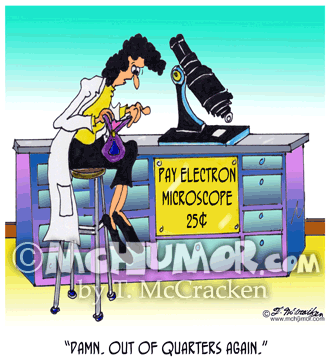 Science Cartoon 5895: A scientist at a "Pay Electron Microscope, 25¢" looking in her purse and saying, "Damn. 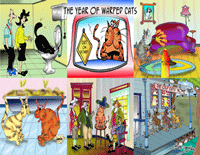 Out of quarters again." 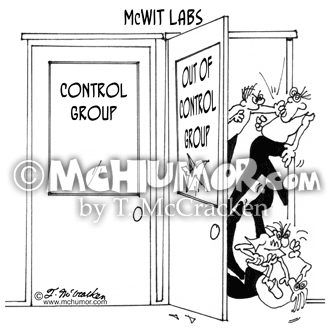 Science Cartoon 6727: A lab door labeled "Control Group" where it's quiet and behind one labeled "Out of Control Group" a bunch of people are heard fighting. 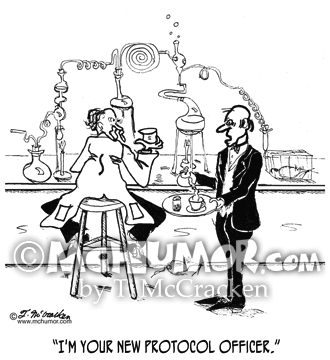 Science Cartoon 6836: When a huge wad of money flies through a scientist's window and hit another's head he says, “Oh. 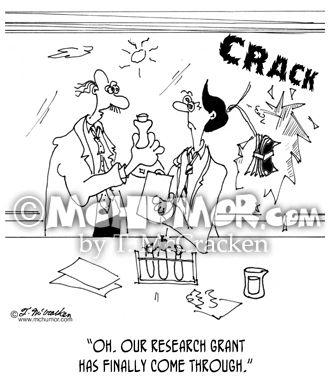 Our research grant has finally come through." 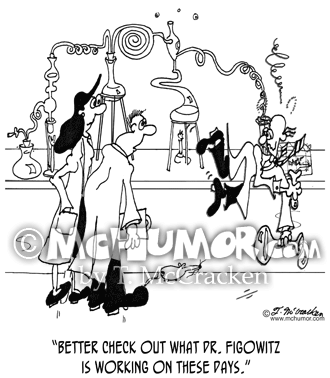 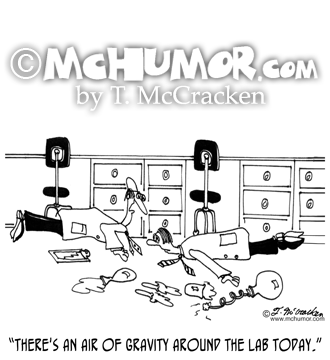 Lab Cartoon 6604: As a scientist floats down the hall another says, "Better check out what Dr. Figowitz is working on these days." 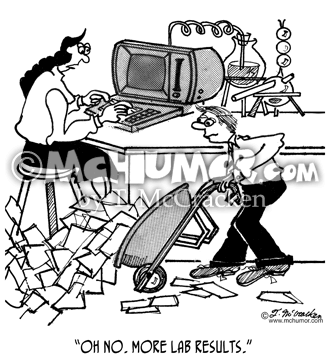 Lab Cartoon 8098: Upon seeing someone bringing in a wheelbarrow of paper a woman in a lab entering info into a computer says, "Oh no. 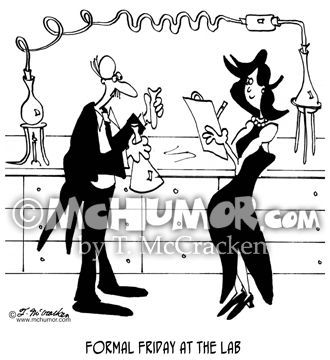 More lab results." 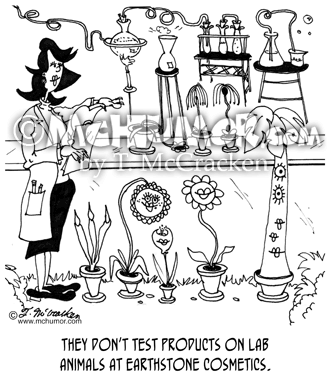 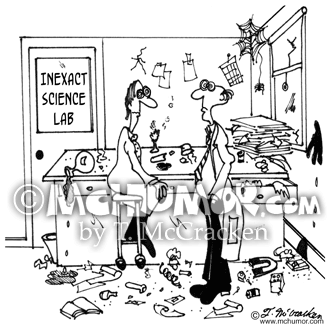 Science Cartoon 9147: Scientists in a messy room, "Inexact Science Lab."